The “O” in EyeOs represents the circle, which is the universal symbol of perfection, as well as the circle of life encompassing the past, present, and the future. 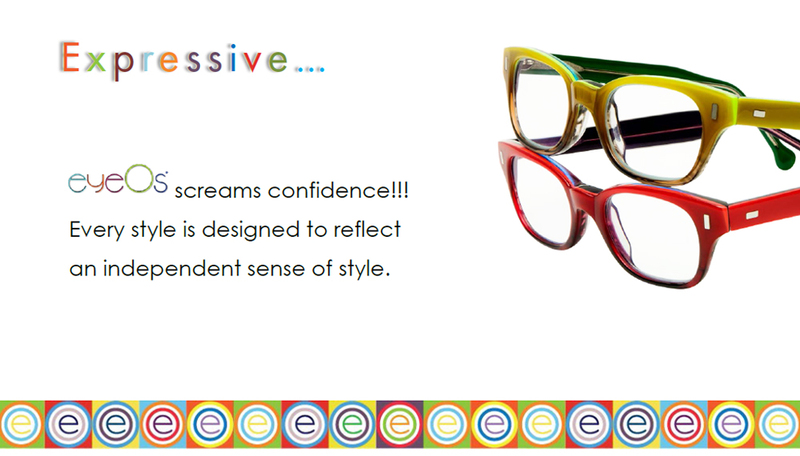 The collection is simultaneously edgy and vintage-inspired, with vibrant colors and interesting shapes. 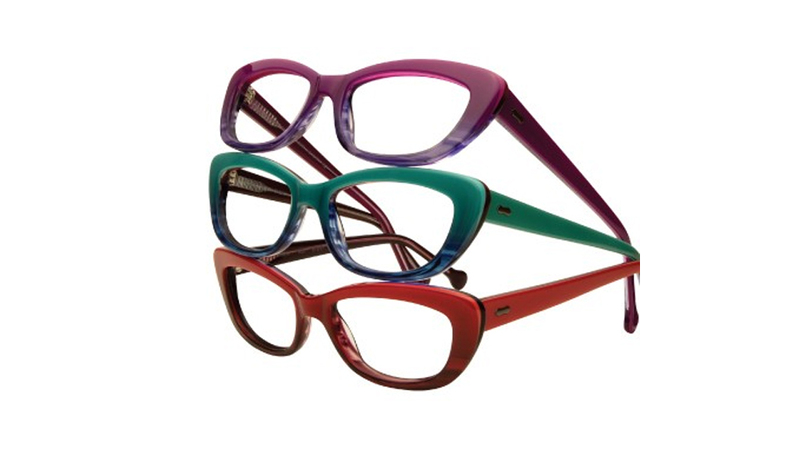 Available in ophthalmic quality readers. 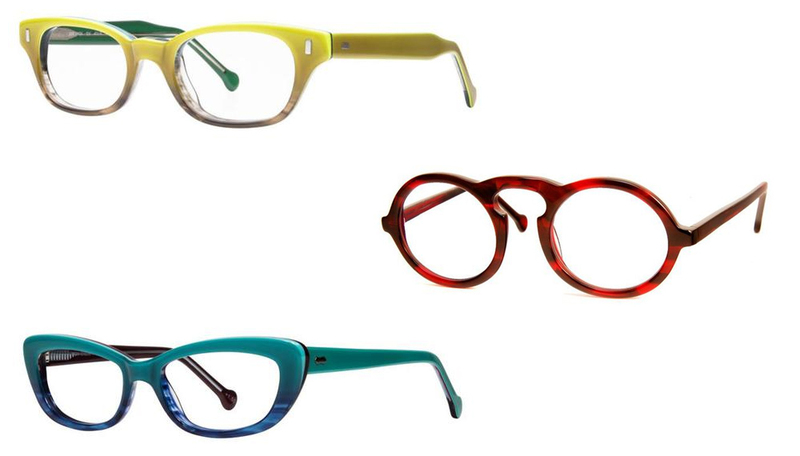 EyeOs is the most exciting line of reading eyewear that’s just too cool for Granny and too good to call readers! 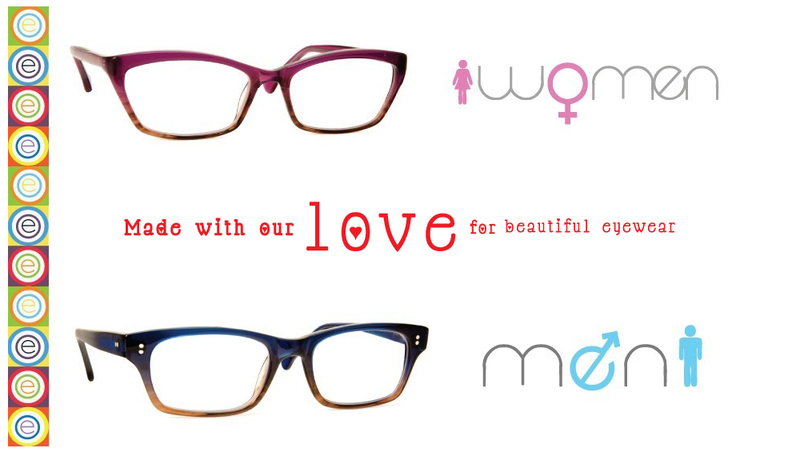 EyeOs are designed with a passion for beauty and a penchant for quality, resulting in the most alluring reading glasses on the market. 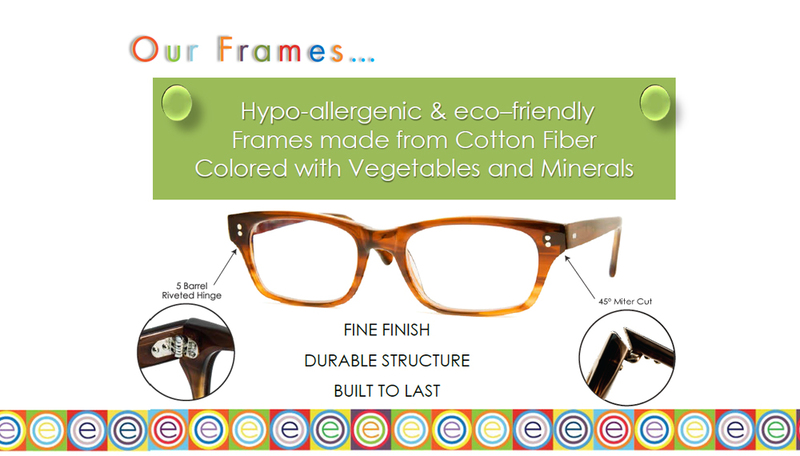 Hypo-allergenic and eco-friendly, the frames are made from cotton fiber and colored with vegetables and minerals. 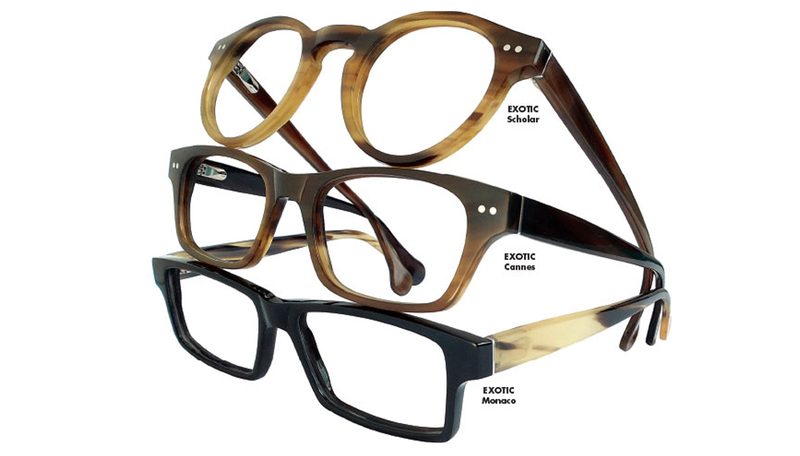 EyeOs combines meticulous craftsmanship, premium materials, and advanced lens technology to set an unprecedented standard in distinctive reading eyewear.